MMI is right now writing and recording their new album coming out later this year. But when the offer came from NEM Agency to join their friends in SPARZANZA on a short run through Finland they desided to take a short break to do so. Here is the video blog of the tour and how it went down…. AND you´ll find a short sample of a song from the upcoming album in clip three. Pansar has been booked to play a one off show supporting the legendary swedish punk band De Lyckliga Kompisarna (DLK) at a show in Uppsala. The date is set to Febuary 9th at Katalin and you can get tickets and info HERE! Due to that this show came as a surprise for the band they desided to release a demo recording of a song called "Brand". Listen to the song at the clip below and if you like it, please share with your friends! Here is the new KMP produced video for MAN MACHINE INDUSTRY! The song is called "Lean Back Relax And Watch The World Burn" and is taken from their brand new album "REBORN" released by GMR Music. The album is limited to 1000 copies that you can ONLY can get a hold on at their live shows and signing sessions. However, the album is of cause available on streaming sites and download platforms! Man.Machine.Industry signes deal with GMR MUSIC to release their next two albums. The first album, titled REBORN, is due to be released allready this summer! Check out the video clip for details! MMI has a signing session at Sabaton Open Air Festival on August 18th at 9.30 PM. There is also a major surprise for the fans at the session. Check the video for information. Pansar has found a new vocalist in Joakim "Jocke" Honkanen, ex Lifer / Dumus. The debut show with Jocke on vocals will be at COPPERFIELDS in STHLM on May 12th at 10 PM. (22.00). See Facebook event for more details here! Finally the sequel to their debut video "Rise" is released onto the world. The new video is called "UNITED STATES OF HYSTERIA" and begins where part I (Rise) so brutally ended. 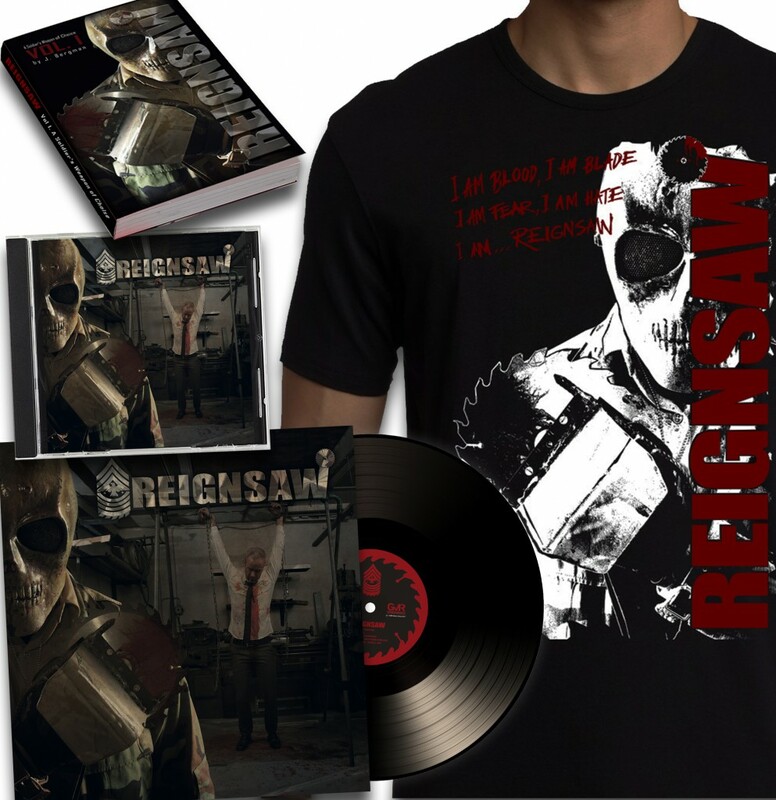 The two videos are based on the final chapter of the Reignsaw book "Reignsaw Vol I. A Soldier's Weapon Of choice" which the band wrote as a side piece to the concept album. FKU – ICE AGE – REIGNSAW! WHAT IS GOING ON AT THE KMP CAMP? are right now taking a short, and well deserved, break after a successful European tour with - Prong - and a great festival gig at Gefle Metal Festival where they got rated a 10/10 in a live review by ROCKBLADET. Next up for MMI is to edit and release a new video. The next gig with the band is on nov 18th at the Rock At Sea (official) cruise with lots of cool bands. The thrashers in Reignsaw are right now writing the last of the lyrics for their album and are soon to be tracking the last of the vocals. After that it is the mix to be done and then its time to check on a release date for this monster of an album. have had a long break in the recording process due to unforeseen circumstances but are now, finally, in the studio again. Drums are done and next up is guitars which are being recorded right now. We hope to keep the schedule to be releasing this album before winter is at our door. Plans for a new TRIA album is taking form. The members will start writing new material this winter and will, as before, incl members J. Bergman (Man.Machine.Industry), Ronnie Nyman (Nightrage, Always War), Magnus Klavborn (ex Engel, The Duskfall). Due to that Jens Westin (CORRODED) and J.B (MMI) have had a VERY busy 2016, and will continue to be so, the writing for this project is postponed. But from what we know they still plan to write and record a heavy metal album together. And maybe, just maybe, there will be yet a songwriter involved in the process of writing and recording this album. More on that further down the road. Source Of Ignition and DUMB HOLE who both have new releases out NOW! 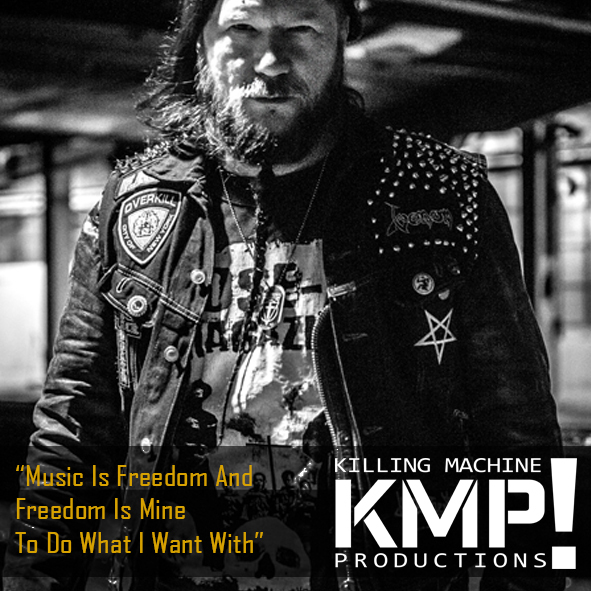 KMP are also working on a lyric video for a well known Swedish hard rock band. Be sure to check in on our Facebook and here for more info on that later.